Thanks for visiting my personal blog, on all things social innovation, design and systems thinking, and careers. I’m a systems thinking, intrapreneurial problem-solver, and a design thinking facilitator. I’m currently an innovation strategist for Deloitte. I previously advised IBM on market trends and facilitated a design thinking culture. I was a ’16-’17 Technology and Democracy Fellow at Harvard Kennedy School’s Ash Center for Democratic Governance and Innovation, where I researched AI applications for citizen services. During graduate school, I worked as a Research Assistant on civic innovation for the book Reclaiming the American Dream for the President of Living Cities, and as a Graduate Intern in the Office of Leadership and Organizational Development in the Department of Defense, where we used design thinking for innovation initiatives and organizational change management. Previously, I worked as the Director of Operations, and now serve as an Advisor, for MFA Design for Social Innovation at the School of Visual Arts. As a design thinking facilitator, I’ve facilitated creative brainstorming and rapid prototyping sessions for global teams across IBM, Fortune 500s, start-ups, educational institutions, and non-profits. Living in Hyderabad, India as a ’12-’13 IDEX Fellow in Social Enterprise, I co-authored the report Education Technology in India: Designing Ed-Tech for Affordable Private Schools. Prior to India, I worked as a Development Officer for the Institute for the Study of War and volunteered as the Director of Member Programs for Young Professionals in Foreign Policy. I’ve also worked as a resume and career coach, interned for a Congressman, contributed research to a book on globalization and development in the Middle East and North Africa, conducted foreign policy research for think tanks, studied in Prague, and volunteered for INKtalks. My articles have been published by Forbes, Huffington Post, The Muse, Brazen Life, NextBillion, Harvard Ash Center, and the Journal of Culture, Language, and International Security, among other publications. I’m a StartingBloc Fellow in Social Innovation, and founded the Design for Social Innovation Facebook group. I also serve on the Board of Directors for Creative Reaction Lab. 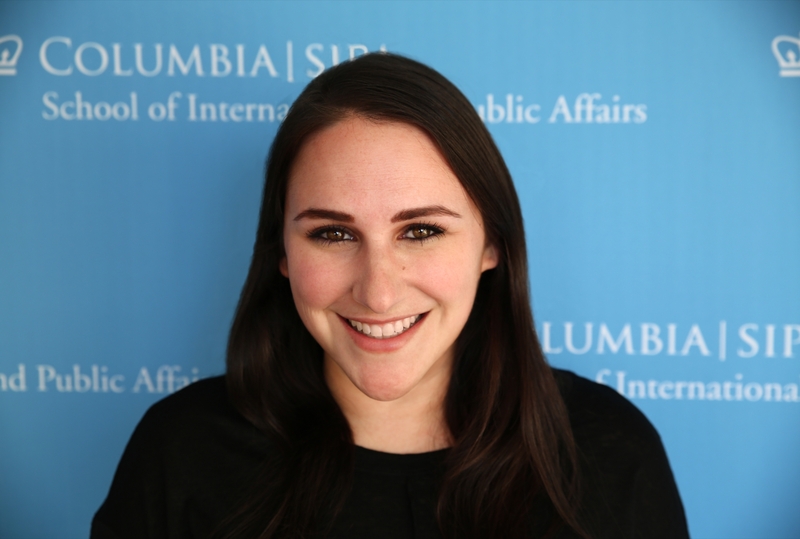 I hold an MPA from Columbia SIPA, where I studied Management and Urban Policy, and a BA with General Honors in Political Science from the University of Chicago. I also hold a Certificate in Social Enterprise from the Monterey Institute of International Studies (MIIS). I was born and raised in Santa Cruz, CA. Connect with me here, on Twitter, or LinkedIn. All views on this blog are my own and do not represent any current or former employer.